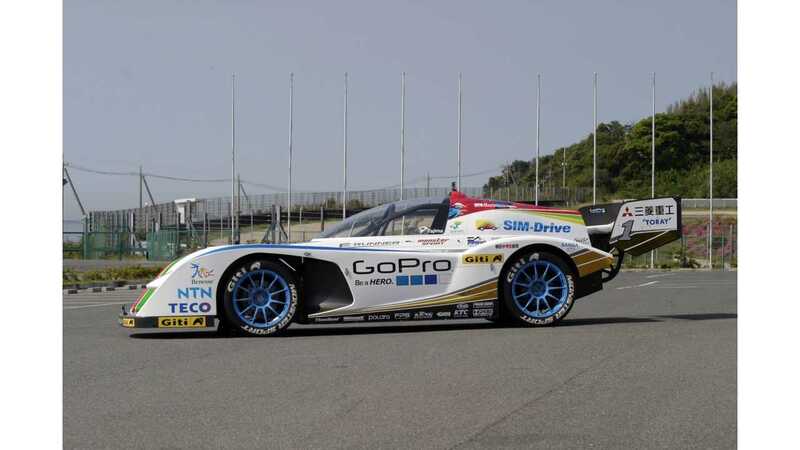 The Japanese team, Association for the Promotion of Electric Vehicles (APEV), showed off its 2013 version of Monster Sport E-RUNNER Pikes Peak Special, an electric racer that will, at the end of the month, start in Pikes Peak International Hill Climb in Colorado Springs, CO. This electric beast is basically the same as the previous version, but with upgrades and improvements focused primarily on reliability and the reduction of vehicle weight. The result is a muck lighter and more durable finished product. E-RUNNER uses two GKN EVO eDrive Systems motors with a SIM-Drive controller and Mitsubishi Heavy Industries (MHI) MLiX lithium-ion battery. Peak power has not been disclosed, but it's likely somewhere in the 500 kW range. 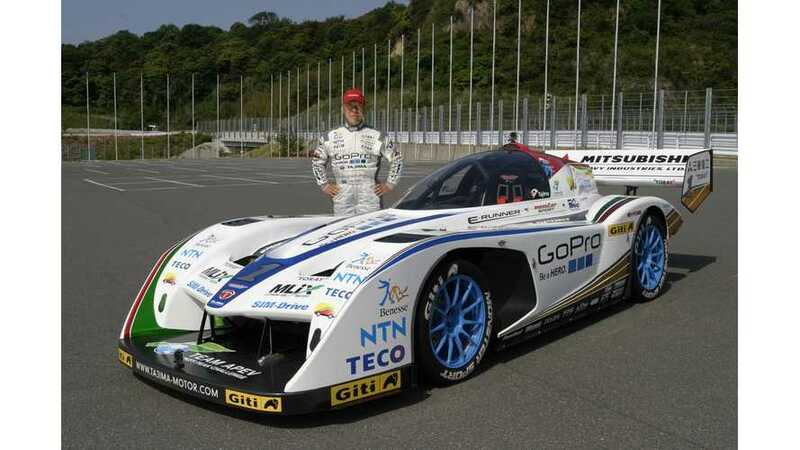 Last year's Pike Peak's qualification winner, Nobuhiro "Monster" Tajima, didn't finish the actual race because he was forced to retire right after an on-board fire was noticed. This year, the team is aiming for a 9:30 time - if this happens it will be new all-time, all-drivetrains record (not only an EV record). 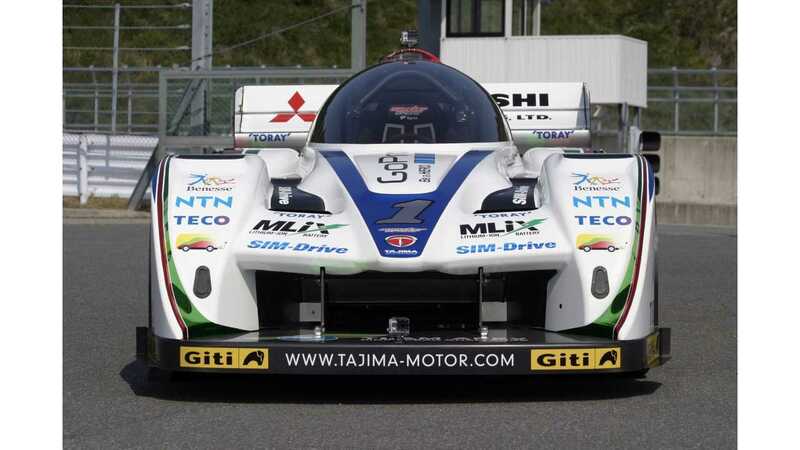 In 2012, the Toyota TMG EV P002 posted the fastest EV time at 10:15.380, which landed it in 6th place overall, but still some 30 seconds behind the fastest ICE vehicle. "After an onboard fire ruined the debut of nine-time Unlimited winner Nobuhiro “Monster” Tajima in the Electric Auto division, the former course record holder (9:51.278) in 2011 on the old asphalt, dirt and gravel course, the 63-year-old Japanese driving legend is preparing his 2013 E-Runner Pikes Peak Special harder than ever for a run at the new record." "His goal this year on the Peak? It’s now an amazing 9:30.000!" 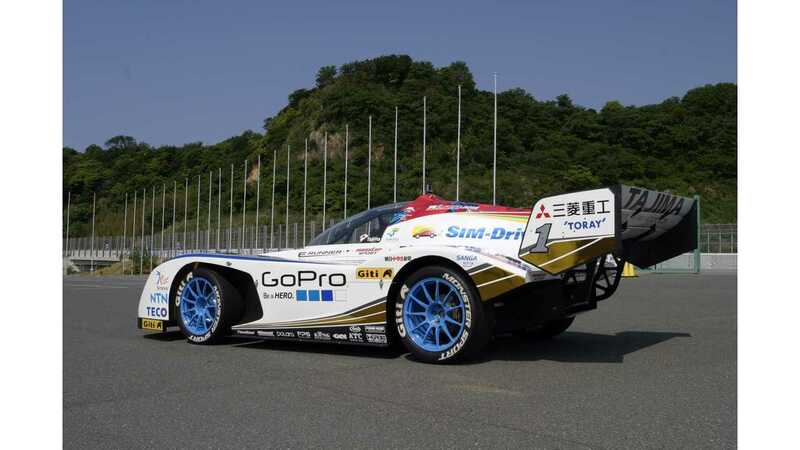 "The auto has been specially designed by his own company, Tajima Motor Corporation, from the ground up in hopes of breaking the record again. He has partnered with Team APEV (The Association for the Promotion of Electric Vehicles) from the beginning when he switched from his gasoline-powered entries to the Electrics, with the commitment to the preservation of the global environment and the proliferation of electric vehicles around the world." Be sure to take a close look at this 2013 E-RUNNER because if it wins at Pike's Peak, a globally recognized motorsports challenge, then it'll surely make headlines around the world and bring with it a huge positive impact on EVs.